The President of the Republic of Somalia, H.E. Mohamed Abdullahi Mohamed, will arrive in Asmara later today for a tripartite Summit with President Isaias Afwerki and Prime Minister Abiy Ahmed. 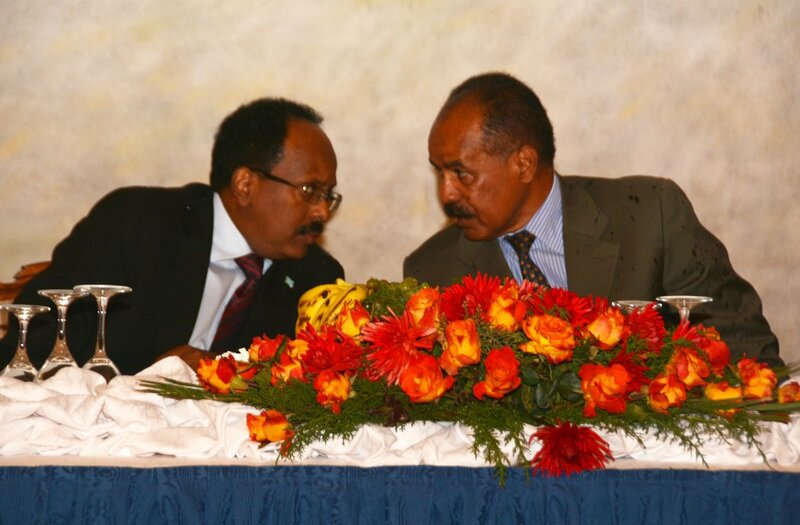 Somali President Mohamed Abdullahi "Farmaajo" Mohamed discussing with his Eritrean counterpart Isaias Afwerki at a State banquet hosted in Asmara, Eritrea, July 28, 2018.